In 2014 the Victoria Group of the Australian Air League celebrates its 75th anniversary. 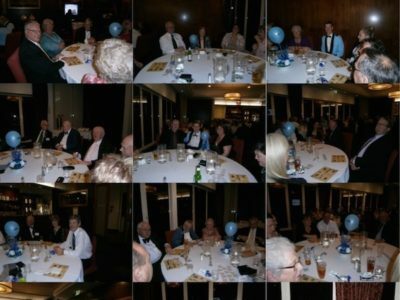 To recognise this milestone a 75th Anniversary Dinner was held at Box Hill RSL on 18th October, and this event saw over 50 guests attend including members past and present, as well as Chief Commissioner Ian Rickard. Organised by Wg.Capt. Lorna Keay and with Mr Jeff Knott as MC for the evening, the night was a great event with excellent meals and the camaraderie even better.